The Case Buddy Premium Leather iPad 3 Cover is made from genuine tough yet soft buffalo leather and styled just like old style leather from the 20s. This beautiful handcrafted patent-european style iPad 3 case offers fashionable, smooth protection for your iPad 3 offering chic defence against wear and tear. 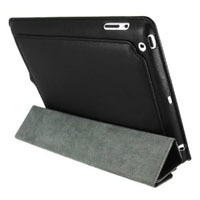 The Case Buddy Black Leather iPad 3 cover instantly impresses with the convertible stand, designed to showcase your iPad 3. The Case Buddy Sleeve cover combines the protection of a case and the cool function of a smart cover. Just like the smart covers you love now in iPad 3 flavour! The Case Buddy Folding Leather iPad 3 Cover case can cease your worriesabout scratching your Apple iPad 3. The folding leather iPad 3 case features smooth leather and heavy duty stitching to ensure the long life of your Apple iPad 3. It also features with auto-securing magnetic flap for the best combination of security and ease of use. This beautiful handcrafted patent-european style iPad 3 Cover offers fashionable, smooth protection for your iPad 3 offering chic defence against wear and tear. 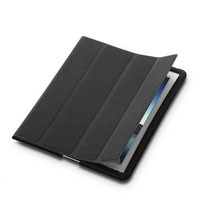 The Case Buddy Black Leather Boss iPad 3 Cover instantly impresses with the convertible stand, designed to showcase your iPad 3. A low cost back cover to work with Apple and third party smart covers to give you the function of a smart cover with rear protection. 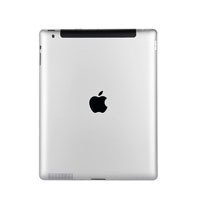 This crystal cover effectively protects your iPad3 from all the scratches and scrapes of daily use. The Case Buddy Aluminium iPad 3 Cover can be used in conjunction with a ScreenGuard for iPad 3 or a smart cover for iPad 3 offering ultimate functionality and protection for your iPad 3. This cover is perfect where durability and functionality are critical. 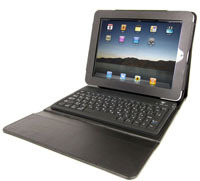 The Case Buddy iPad 3 Bluetooth Keyboard Case is a protective case and has a detachable bluetooth wireless keyboard. The durable case offers superior protection, and is made of PU leather material. It also features a soft, scratch-resistant interior that unfolds for use with the keyboard. The keyboard and iPad 3 screen angle fasten securely with a touch fastener closure and can easily be adjusted. REPORTS have emerged that the iPad 3 is in full production in China. An unnamed source from one of Apple’s manufacturing partners in Asia said production began at the start of this month, with factories running 24 hours a day in China, Bloomberg reports. The new iPad will feature a more impressive screen than most TVs, faster video graphics and Long Term Evolutionary (4G) capabilities, the source is said to have revealed. Last week Pegatron Technology - one of the major manufacturers of the iPad - was reported to have begun filling an order of iPad 3 units to be released in March, according to Digi Times. The news comes a few days after technology website iLounge said it was shown the shell of the new iPad backstage at the Consumer Electronics Show (CES) in Las Vegas. According to editor Jeremy Horwitz the new device is a lot like the iPad 2, only slightly thicker. Mr Horwitz said the iPad3 will be roughly 1mm thicker than its predecessor and the rear camera is noticeably bigger when placed alongside the iPad 2. Rumours of a third generation tablet, Apple TV and an iPhone 5 have been circulating for much of the last year, but the notoriously secretive Apple has refused to confirm any of the new devices.